Description: Pesado replaced all equipment and bridges in the aeration basins along with installing new 30’ roaters. Pesado built new 100’ by 12’ headwalls with new equipment including but not limited to rotating screen and pista grit system. 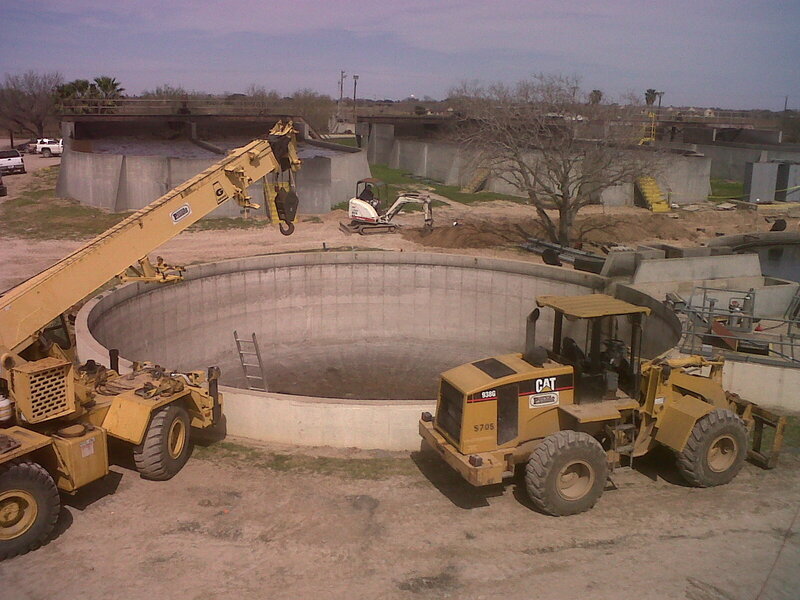 Pesado also built new splitter box, replaced all equipment and bridges on clarifiers with a westech system, built a new chlorine building with crane and all new chlorination equipment to include new gates and weirs in the chlorine contact chamber. Installed all new pumps in the RAS/WAS pump station, and a new pump in the industrial lift station. Pesado built two sets of four concrete drying beds with micro filter system. Pesado also built a brand new office bldg and lab with all new electronics.